Are you looking for driveway gate openers that would work well on your gate? Well, if you want the best company to install and supply these driveway gate openers, go to our driveway gate openers company in Redmond. 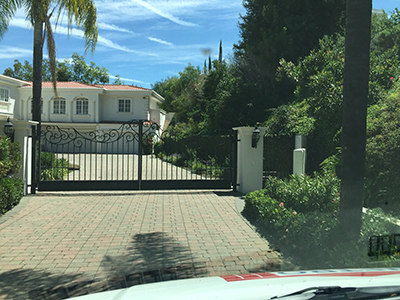 We not only supply and install gate openers we also do all repairs, replacements and installs for all gates, fences and their related products and parts. Also we’re always ready to take your emergency calls 24/7. We take great pride in always being available to our customers. That's why we are in this business to provide electric gate repair as fast as possible, check out problems, maintain gate systems, and make sure the gate operates perfectly. We promise full residential services and unmatched excellence. Technicians arrive at the clients' home as soon as possible when there is urgent need for immediate, same day services yet also guarantee thoroughness and perfection. They utilize expert knowledge, implement top equipment and confirm problems with gates, parts, and openers are solved fast. Moreover, they replace the broken parts, program intercoms, and take exceptional care of remote and keypad issues. Our team is knowledgeable and dedicated. We offer maintenance service, are ideal for all gate intercom services, and guarantee safety by servicing gate openers quickly and flawlessly. Our company in Redmond will not only supply and install these openers for you; we will also repair those openers that you already have. If your gate opener is giving you problems give our company a call and a fence/gate contractor will be there to repair it for you. Also we offer a safety loop for our openers. For example there are photo eye sensors that every person who owns a gate should have. These sensors are designed so that if your gate is trying to close and there is blocking it, it will reverse until that object is removed. This will save a car or worse yet, a person from getting crushed by the gate. Here at our driveway gate openers in the city of Redmond we also do welding services and a lot of iron work. Being 2nd generation iron workers we can make quite a few products. We are proud to say that we have received very little complaints about our company but we have received several compliments and positive reviews from customers staying in the city. These compliments are what we strive for. We aim to please our customers and will go out of our way to do so. 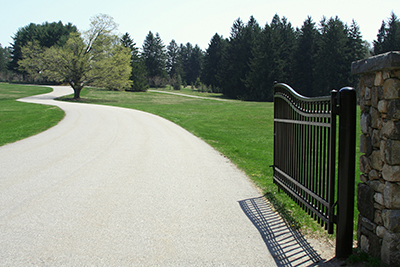 Call our driveway gate openers company in Redmond today and find out why we are the best.